From Sherbrook Road, Edgeworth David Garden looks like a wall of trees, and until I visited it recently, I thought they hid nothing more than a walkway, perhaps with a bit of a paved area for visitors to stop and relax in (a belief based on glimpses I got through said trees while driving past). However, I couldn't have been more wrong. 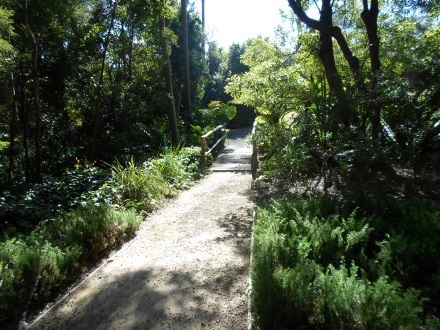 The section of the garden located closest to the road is actually quite natural and not paved at all. 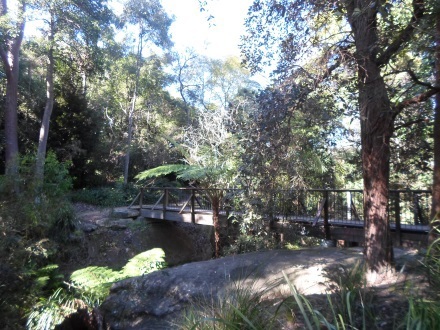 There are paths that lead through it, as I expected, but even these are just dirt, while an impressive bridge spans Hornsby Creek. This area is little more than a walkway though, as there's not much to look at until you go over the bridge. There's also only one place where you can really stop and enjoy your surroundings anyway. Once you go further back into the garden (it's much deeper than I expected) a transformation takes place. 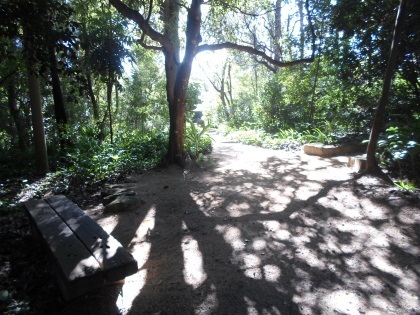 Back here, the space is more cultivated and, put simply, a lot nicer, with introduced plants and better pathways. 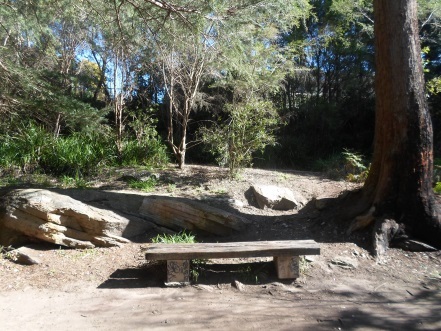 The change in the surrounds can be explained by the garden's past, as it was once the home of Sir Tannatt William Edgeworth David, a name known to residents of Hornsby due to the nearby Edgeworth David Avenue. Edgeworth David was a geologist and war veteran who also led the first expedition to reach the south magnetic pole in 1908, a piece of history I was certainly surprised to discover. 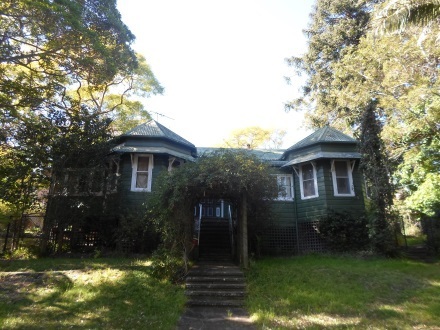 Along with his wife, Edgeworth David moved to Hornsby after WWI and lived at Coringah, a house built by Edward Swain that can still be found at the back of the garden today (the residence is now a private property). The area closest to the house represents the garden that the pair created, with both the house and garden now holding state-level heritage significance. 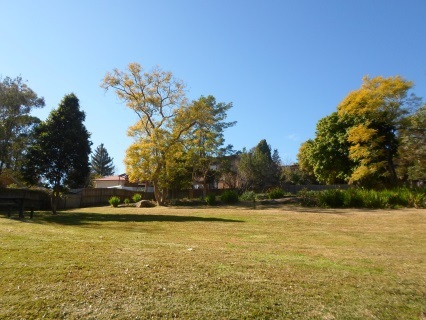 As well as the house, the rear of the garden also includes an open space with picnic tables. My first visit to Edgeworth David Garden revealed to me that's it's far more than a walkway and is actually a significant local site that's full of history and hidden beauty. It's also just one of the secret gardens around here that I think are worth a visit. Great article - Always good to know a little bit of history about the local area!